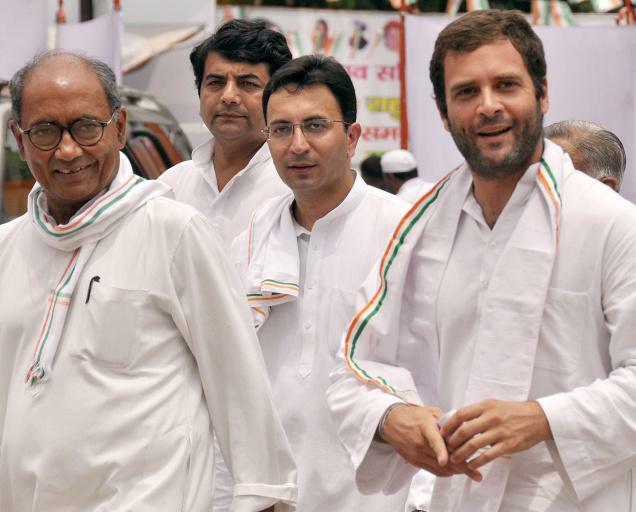 While the Digvijay Singhs, Jayanti Natarajans and Manish Tewaris of the Congress party have started expressing their desire to see Rahul Gandhi as the Prime Minister of the country, Rahul is busy preparing for his next big test of the Uttar Pradesh assembly elections in 2012. Since his début in Indian politics, Rahul has invested so much politically in the state of UP that the upcoming state election is being seen as the make or break point in his political career. The recent Padyatra that Rahul undertook supporting the farmers’ cause against land acquisition is nothing but another effort to revive the Congress in UP. Expect Rahul Gandhi to spend more time in UP till the election next year. But all these efforts by Rahul and Co. may not yield the desired results for the party. There is one reason that still keeps Rahul Gandhi far away from the masses irrespective of how much effort he puts to come close to them and the same factor also stands between Congress and the power in the state. The factor we are talking here is the lack of regional leadership in UP. Rahul Gandhi has made lots of attempts in recent years to woo the public of UP. In his initial days as a political leader, he was famous for visiting Dalit huts and eating food there. While the distance between the politicians and the public was growing, he wanted to show that he was a new age politician moving closer to the poor and Dalits. His real intention was to attract eye balls. Congress was almost nonexistent in the state and only thing it needed was more public attention. Rahul Gandhi being the next leader from the Neheru-Gandhi clan was able to draw the attention with his frequent visits to UP villages. 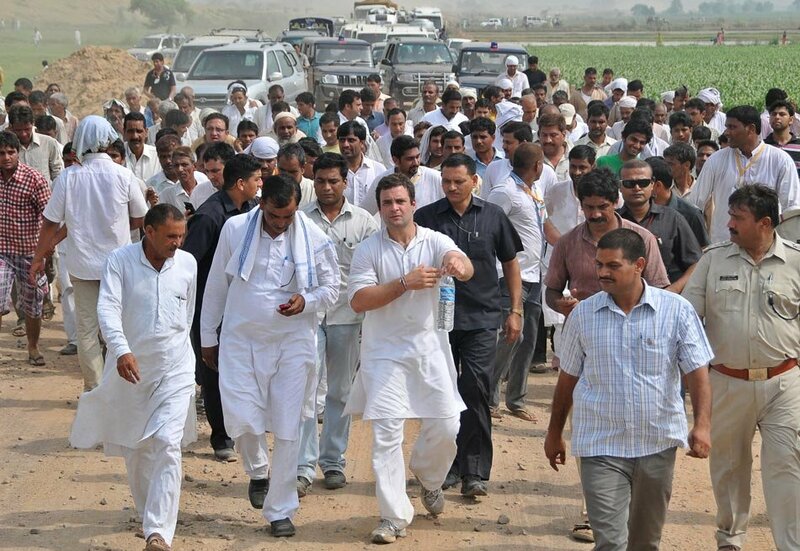 The recent padyatra is also part of the same strategy with the motive to attract the attention of the voters. But the problem is that the attention doesn’t always convert into votes. Sure, he managed to get positive mileage out of the recent yatra for himself and his party and perhaps will manage more positive attention in the next one year, but the attention will not result in a significant number of votes to bring Congress into power or propel the party to at least the King-maker’s position. The reason is Rahul is still an outsider for the voters of UP. For a common UP voter, he is still a ‘sports shoe wearing politician drinking mineral water packaged in plastic bottles and coming in SUVs from Delhi’ to gather votes for his party. For the local voter, he is a national leader of Congress who is in the state for ensuring wins for the incompetent and useless local Congress leaders. People don’t vote looking at the national leader. Except the strong party workers and supporters, a common voter always votes considering the local issues and comparing the local leaders of different political parties. National leaders are always a secondary factor for a voter while deciding his vote. At best, the individual votes gets decided depending on the state level leaders of a party. There are a plenty of examples in Indian politics to prove this point. Most of the votes polled for BJP/NDA in Gujarat, Madhya Pradesh or Bihar are because of the charisma of Narendra Modi, Shivraj Singh Chouhan or Nitish Kumar. It is Tarun Gogoi whom the voters of Assam trusted which translated into a Congress victory in Assam. TMC in West Bengal, BJD in Odisha, AIDMK in Tamil Nadu rule because people of the respective states support Mamata Banerjee, Naveen Patnaik and Jayalalitha, all regional satraps. Bhupinder Singh Hooda’s clout is more than that of Sonia Gandhi/Manmohan Singh in the state of Haryana. The Andhra Pradesh was once a Congress stronghold for a regional leader like YSR Reddy. The UP Congress has neither a powerful regional leader nor a vibrant party cadre. Rahul Gandhi comes and goes back to Delhi and all the goodwill he earns through his yatras are lost due to lack of the local leadership. Perhaps that explains why despite a good show in the LS election in 2009, a recent internal poll predicted a disastrous assembly poll result for Congress in UP. Then what should Rahul Gandhi do? Political circles believe that Manmohan Singh is just managing the post of Prime Minister till Rahul gandhi is ready to takeover. 2012 election is important for Rahul Gandhi to be ready for the PM post in 2014 or later (of course if the world exists after 2012 :P). So he can’t afford to miss this opportunity due to the lack of regional leadership in UP. Then what clould and should he do? Local cadre or a strong leader is not something that can be made overnight. Is it then the end for Rahul Gandhi’s high hopes off the UP elections? No, there is still a way that may help Rahul’s aspirations. The only way Congress can revive its fortunes in UP is by declaring Rahul Gandhi as the CM candidate. Rahul Gandhi will anyway be very much involved in the decision-making of Congress for the state election, then why not make him the leader under which the party will fight the election? This will not only fill the void at the top of party’s state leadership, can also rejuvenate the dormant congress cadre in the state. Rahul Gandhi will not be considered as a national leader by the voters and his speeches, promises and actions will be taken seriously by the UP public. Rather than being just a flash in the pan, Rahul can have a long-lasting effect on the voters’ mind if Congress clearly declares the ‘PM in waiting’ as the ‘UP CM in waiting’. Using this path, Rahul can also get an opportunity to prove his mettle as a good administrator and able politician and convince the country that he deserves a chance to become the PM. A 5 years experience as the UP CM (if Congress manages to gather majority after the poll) can be included as an achievement in his otherwise a dud political CV. This way he can convince the country that he can be a PM not just because of his surname. Will Rahul adopt this way? There is definite risk involved in this path. The risk of failure. Anything sort of clear majority will be seen as a failure of Rahul Gandhi and this time he can be directly blamed for the loss. Even though he heavily influenced the poll strategy in Bihar and Tamil Nadu, he managed to escape the blame for the poor results. Escaping responsibilities has been the keyword in Rahul Gandhi’s lexicon so far and it is rather unexpected that he would be courageous enough to put himself in the direct line of fire in case Congress loses the UP election. The history of Nehru-Gandhi dynasty also shows how the members of the dynasty never take the difficult path to become the PM. While a non-Gandhi politician has to overcome many hurdles and gain experience by assuming several constitutional posts, a Gandhi surname holder is so soft to take the difficult path that he/she is airdropped to hold the post of PM even if without any previous experience of holding a constitutional post. If Rahul Gandhi decides the path his grand mother or father adopted, do not hope he taking the risk of making himself responsible for the UP assembly election outcome. But the young Gandhi must remember that if he can’t make himself ready for a CM post, the country can’t be ready to accept him as the PM of India. UPDATE 1: This post has been selected for Blogadda’s Tangy Tuesday Picks. BlogAdda has started ‘Tangy Tuesdays’ and ‘Spicy Saturdays’ where BlogAdda picks up good posts from Indian blogosphere and serves it to the readers on Tuesdays and Saturdays. This way, good posts are acknowledged and readers get to read quality content. This is also an opportunity for everyone to interact even more in fruitful discussions. Thank you blogadda for selecting my post this week for the honour. UPDATE 2: BlogJunta has selected this blog post as one of the “BEST POSTS FOR THE MONTH OF JULY”. Blogjunta is one of its kind blogging service for the netizens of blogosphere . Currently it is concentrating to build a one stop shop for bloggers to get updates from the blogosphere. Thank you blogjunta for selecting my post this week for the honour.